If she were cool again, radio stations and TVs would play her again. That's not the case. So, I'm sorry, I can't see an upgrade of Celine's status. True. But I do see a (positive) change.... only hope it will continue unti at least her English album and tour next year. It's not that people will start listening to her songs after seeing her goofy behaviour on talk-shows. Yes, it's good to have her "back" in media but still it's not about music... And I'm afraid the latter will not happen. I think if she had an English album to promote we would see the benefits to her music... Right now all I see is Aldo working hard to build her image in the media so that when an albums drops.... It drops hard! He is doing a great job so far. Also the media attention will be doing wonders for EUS album when it drops... Celine is in the media worldwide right now! Edited by Peppercorn1991, 26 July 2016 - 04:05 PM. Let's see it this way: if Aldo is doing all this promotion for her without no new album in the stores -more precisely, an English album-, let's just wait and see what will come when the albums are released. The promo is already building up and I can see his fierce attitude not to let anybody down with his first Céline albums released as her manager! And this is a problem? Gosh, talking about what Celine wears or her hairstyle may be alright (even if I personally care little) but debating whether she looks old, should take Botox etc is in my view way out of line - especially if it comes from someone claiming to be a fan. What a ridiculously shallow statement - it ranks up high on the 'stupid comments that demonstrate a lack of decency chart', together with this other 'fan' who recently complained about her having a belly when appearing on the Fallon show . Maybe I will sound shallow but I prefer Céline not using Botox because I do not find Botox users particularly attractive, especially those who use it over a long period of time. Look at Barbra Streisand. I feel sure that Céline will make good choices regarding her face and body. I don't think she was ever cool. I've been a fan since 1994 and I guess I must have fallen asleep for the first cool period? Because even at the height of her mega-selling fame I was made fun of for liking her and she was heavily criticized by the media. I agree - she was definitely not cool in the '90s. I was a mega-Celine fan in the late '90s, when she was on top of every chart and Titanic took over the world -- I was in high school, and the other kids thought my Celine obsession was hilarious. People generally told me their mom liked Celine. I think people often liked her music, but viewed it as a guilty pleasure or something to laugh about, because her music -- the popular American hits, at any rate -- was equal parts overdramatic and super-saccharine. The tide's been turning for awhile -- I think in part because of a recognition of her staying power, true talent, amazing shows, and her undeniable class and un-Hollywood personal life. But this latest surge of unequivocally positive media attention? I honestly think it's directly related to Rene's passing, and that's so sad to say. Because here's the thing -- it's so easy to make fun of someone who gushes about how she's married to the love of her life, how she loves changing diapers, etc. That's so easy to mock, and lots of people try to tear down that kind of happiness, because they're not as happy themselves, or they think she can't possibly be that happy and is just being fake. But when you have someone who just lost her partner after a long, difficult battle with cancer; someone who has to be strong for 3 children that she's now raising alone -- you'd have to be a pretty big jerk to start mocking that. And I think the world was impressed with the class and grace she showed in handling Rene's wake; and the sincerity and strength she displayed at the Billboard awards. She's just not mock-able anymore, not right now. I don't think it'll stay like this forever. I still don't think "cool" is quite the right word -- it implies a lot more of an edge than Celine has ever had. But this is certainly the most uniformly positive media attention she's ever had in her career. I was a mega-Celine fan in the late '90s, when she was on top of every chart and Titanic took over the world -- I was in high school, and the other kids thought my Celine obsession was hilarious. People generally told me their mom liked Celine. I think people often liked her music, but viewed it as a guilty pleasure or something to laugh about, because her music -- the popular American hits, at any rate -- was equal parts overdramatic and super-saccharine. And as for whether "it'll stay like this forever" - I think a lot is riding on her next English album. If she doesn't go out on a limb a bit and try something new and a little risky, I suspect some of the goodwill might indeed quickly fade. Hopefully this French record does turn out to be the personal statement that it's shaping up to be and is well received, and hopefully she's reassured and buoyed by that, and continues along similar lines for the English album. Edited by scielle, 26 July 2016 - 07:48 PM. Haha, that is awesome. I did a Celine-themed presentation in high school, too -- don't remember much about it, but definitely remember that I chose to play "If We Could Start Over Again" as part of it. I have no idea why I chose such a random song, but I think the class was pretty mystified. Then there was my seeing my very first Celine concert at the end of summer one year -- and so I started my senior year proudly wearing my brand-new LTAL tour T-shirt. Obviously, i was verrrry cool myself, back in the day. I don't think Celine will ever be cool among teenagers. She's simply too old and classy for that. I also couldn't care less whether the media/ teenagers etc think that she is cool. Celine is fantastic and she is fantastic not because she is cool but because she is Celine. “All of this has led to what feels like a new wave of appreciation; thousands of click-savvy millennials having their ‘Celine moment’ and fashion magazines finally putting her on their cultural radar. This is fantastic news, yes: more press for Celine means more of the good stuff for me. But a word of warning: you are Misled if you think you can pick Celine up and put her down like some passing trend. Treat her like a Lady. Edited by scielle, 28 July 2016 - 06:28 AM. I think there is a difference between being "cool" and being yourself. Being yourself means staying true to yourself no matter what other people think. Being "cool" has nothing to do with you, but with how other people perceive you. The word "cool" is nothing more than a label that society is putting on you for this or that reason. In fact I don't think there is a strong definition of that word. What is actually "cool" and what is not? Who is defining it? Medias have a huge impact and power on our own perception. It's like they make general opinions and people tend to like what the majority likes. Céline was never trying to be cool. She was just being herself and that's what makes her special and worth of admiration. She was always like that and she never changed. What changed is the perception of other people. The medias removed her once from the "cool" list. Now she is back there? Who makes those lists and will they remove her again? I remember having many friends who were Céline's fans. I met them through fan clubs, forums etc. At the time when she was on the top of her popularity they were praising her to death. Later, when medias started to disparage her, they all stopped being fans and they were repeating almost the same words that they read or heard in the medias. They all seemed ashamed of being fans once. Also I have a friend from France who was never a fan of Céline. He used to make fun of her. He always openly said he doesn't like her. But now, after the concerts in Paris and lots of positive reviews in the medias including the success of EUS, look who is liking every photo of Céline on FB. Who is adding her videos on FB. Don't get me wrong, I'm glad when somebody becomes a fan. Good for him. But Will it last? Why now? Just because she is "cool" again? What bothers me is that people care too much whether something is cool or not. Like it's a question of value. As I said, Céline never changed and articles like "I didn't like Céline, but I think she is cool now" don't have sense. Especially if the article is titled "God help me, I think I like Céline Dion now". What a stupid title! What a hypocrisy! And again, why now? Just because she is suddenly "cool" again. Why Is she now and she wasn't before? She's a billionaire and couldn't give a rat's @ss who or what anybody considers her to be. Celine's doing Celine and it's as simple as that. She ain't got no time for nothing, and I mean nothing. Isn't that the ultimate coolness though. She ain't tied to no one and I mean NO ONE! Edited by Brandon, 28 July 2016 - 04:38 PM. who needs an english album? Not that I dislike a bit all the attention from the media she's getting today, but I'd really wish they would give the same exposure because the songs in her next album are just GREAT. the songs have to be great first...and then the press can give praise...The exposure is good, now she have to do a great album. She is putting pressure on herself to deliver, and since she always did in the past, prepare yourself to hear something great. She will have the time to do so, for the first time since a long time. I'm ready. "If the key to staying relevant is reinvention, then her wacky new ensembles have put her back right where she belongs: dead centre in the public eye." And CBC Music is recommending EUS... which is not something they've been historically know for. They're recommending it?! Wow this is gonna be good then! All the good reviews and kindness toward Céline by the media is all owed to Law Roach. Edited by Peppercorn1991, 30 July 2016 - 10:46 AM. We have the exact same perception on this. It is like you read my mind when writing this! Rene passing away made Celine human to the eyes of people. The past months she has been vunerable and hurt and all this struggle has brought her closer to everyday people. She was seen as this superwoman who had the perfect career and family life and who would talk about it litterally in every interview. This is an image you might admire or be jealous of or even consider fake. However, losing her husband and brother to cancer in such a short period of time proved that she is as exposed to pain as the rest of us. Just another human being. 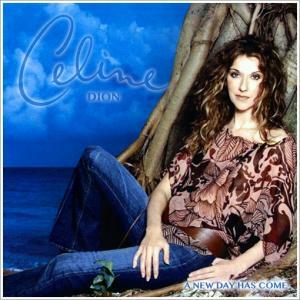 And this is an image that people embraced, because they can easily relate to it and because Celine needs to be embraced. Edited by LukeD, 30 July 2016 - 11:53 AM.